Recycling as much as we can is environmentally and socially responsible. The holiday season is about giving back to our friends, family and community, and recycling discarded materials and objects is a way to "give back" to the environment. Unfortunately, while our intentions are good, recycling holiday materials is not as simple as it sounds. In fact, many of us do more harm than good when we stuff our festive wrapping paper and curling ribbons into a blue bin. Every year, Americans unintentionally wreak havoc on local and international recycling centers by putting un-recyclable items in their blue bins. Since Americans produce 25 percent more waste than normal between Thanksgiving and New Year's Day, this leaves a lot of room for mistakes. Poor recycling habits affect more than our local recycling centers — the United States ships much of its recycling overseas for repurposing, and these countries are increasingly wary of accepting our materials due to bad quality. This holiday season, be informed about your recycling. Whether you are dealing with glittery bows, foil wrapping paper or regal Christmas trees, this guide will help you know which decorations to recycle, which to reuse and which to toss in the trash. You can make eco-friendly choices even before you start wrapping your gifts. By considering the impact of all of your holiday choices, from the types of gifts you give to how many lights you use, you can ensure that your holiday season is as environmentally responsible as possible. Below are ten tips that will both help your recycling efforts and reduce your overall waste. Pull out the recycling bin: Make recycling an accessible option for your family and friends during the holidays. During festive parties and events, pull out your recycling bin and position it next to the trash can. This makes recycling an easy option for your guests, so they can effortlessly toss their aluminum cans or glass bottles into the blue bin instead of throwing them away. Avoid tinsel and lights: Elegant Christmas lights and shining tinsel are lovely and romantic, and many people consider them essential for holiday decorating. However, string decorations make a mess once inside recycling facilities, jamming machines and causing costly delays. Opt to use less string lighting and tinsel wherever possible this holiday season, and when you are through with them, toss them in the trash. Bring your own bag: Plastic bags are bad for the environment, and they're a pain for recycling facilities. You can't recycle plastic bags or plastic film through your home's recycling bin. Instead, you must return them to a store so they can be collected for large-scale recycling at a specialized center. This holiday season, consider bringing low-cost, reusable shopping bags as you look for gifts instead. Opt for experiences: As you decide what to give your loved ones for the holidays, think about going beyond material items. 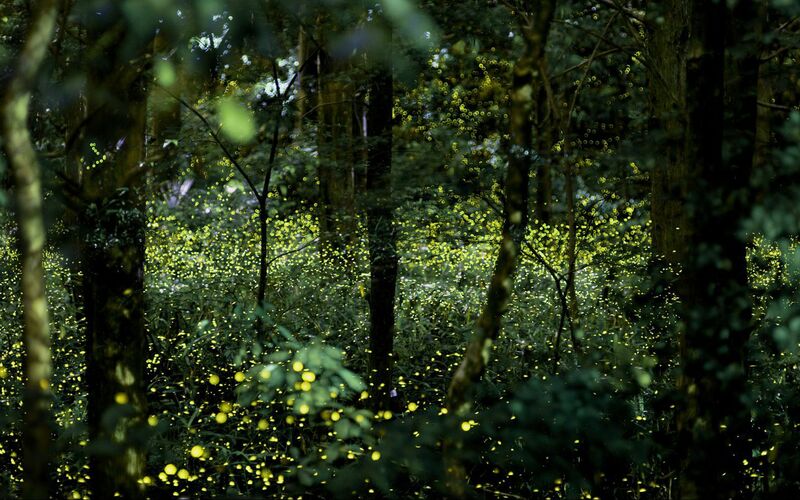 For many people, experiences make much more memorable and enjoyable gifts than objects. Not only do they not require wrapping paper, but experiences create meaningful, enduring memories that will last a lifetime. Recycle outdated gadgets: For many Americans, the holidays mark a transition in technology — popular gifts include the latest phone, tablet or computer model. It can be tempting to just throw away the old, outdated gadget, but instead, drop it off at an electronic recycling site. Many towns, companies and communities make these drop-off centers easily available during and after the holiday season, so it's easy to responsibly discard old or broken technology. If your outdated gadget still works, you could always donate it to a local shelter, charity or consignment shop. Rinse off your recycling: Before you toss your dirty pizza box or empty eggnog carton in the blue bin, take a moment to rinse away or scrape off any remaining food residue. Dirty recyclables can cross-contaminate anything else they contact during the recycling process, which produces unusable materials. Choose eco-friendly cards: Holiday cards are a thoughtful way to keep in touch with your friends and family. However, avoid purchasing cards with glitter and metal embossing, and especially those with a shiny, glossy or gold foil coating — these additions make the cards non-recyclable. Instead, look for cards made of recycled paper, or try sending an online holiday card using email or social media. Save your ribbon: In most cases, ribbons and bows can't be recycled. Instead, try saving ribbon and reusing it during the next holiday. You can reuse plastic bows by sticking a piece of double-sided tape on the bottom, and you can "re-curl" curling ribbon by scraping it slowly with a pair of scissors. Unsubscribe from junk mail: Nothing clogs up a mailbox like junk mail. The number of catalogs and "special offers" brought to your door will often peak around the holidays, as businesses try to attract new customers to buy last-minute gifts. Cut down on the amount of snail mail you get by switching to digital bills and magazine subscriptions, and consider using a specialized service to remove your name and address from unsolicited mailing lists. Keep the planet in mind: Ultimately, the best way to make your holidays eco-friendly is to shop with the planet in mind. Look for biodegradable or recycled wrapping materials, and try to purchase gifts from environmentally conscious brands and vendors. Especially keep an eye out for products made from reused fibers, ocean plastic or recycled paper — even small purchases can make a difference. It's possible to make informed and eco-friendly choices at every stage of your holiday planning process. By implementing a few of these tips, you'll make the season easier for both you and your local recycling center. Few things are as lovely as brightly wrapped gifts. With shining paper and glittering ribbon, holiday presents are appreciated as much for their presentation as for their contents. However, this festive paper is not as loved by recycling facilities. When it comes to wrapping paper, most people automatically assume that it is easily recycled — it's a paper product, and it tears easily, which is typically a sign of a recyclable paper material. But gift wrap poses several problems for recycling centers. Most wrapping paper contains laminations and dyes, in addition to non-paper additives such as plastic, tape, foil and glitter. Because of all these additives, most wrapping paper is considered non-recyclable. Even if wrapping paper doesn't contain any unusable additives, many types of gift wrap are too thin to be recycled. If your wrapping paper is not labeled as "green" or "recyclable," your best bet is to throw it away. If you can't find recyclable wrapping paper, you can still wrap your gifts with green materials. Below are a few more eco-friendly alternatives to traditional wrapping paper. Newspaper: Newsprint makes a sophisticated and interesting wrapping material, and it's both recyclable and inexpensive. If you want a more "fun" look, try using the comics section of the paper for a colorful option. Kraft paper: Kraft paper is biodegradable, recyclable and on-trend — paired with a piece of twine, a twig of greenery and a simple tag, this brown paper makes any gift look lovely and stylish. Gift bags: Many gift bags are just as bad as wrapping paper for recycling. However, it's possible to find simple ones that aren't dyed or laminated. These simpler gift bags might not have the same shine or glitter as others, but you can easily customize them with stamps, paint or eco-friendly ribbon. Although you can't recycle most wrapping paper, you can still keep it out of a landfill — during your next holiday, try saving any leftover wrapping to repurpose. Here are just a few ideas for inspiration. Future gift wrapping: If the wrapping paper was unwrapped carefully, you might be able to use it to wrap another gift in the future. Store any large sections of gift wrap in a bag or box and pull it out the next time you are wrapping a gift. Fun bows: You can tear old wrapping paper into strips to create unique and whimsical bows. Stick them on top of a future present for a personalized effect. Scrapbooking accents: If you enjoy scrapbooking or journaling, you can use bits of wrapping paper as colorful and textured page accents. Personalized cards: Glue pieces of beautiful wrapping paper to blank cards for a personal and stylish touch. The applications for wrapping paper are endless. You can use gift wrap to recover a favorite book, line plain bookshelves or drawers, shred into confetti or fold into handmade envelopes or festive bunting — the only limit is your creativity. As the popularity of online shopping surges across the country, more and more boxes are being delivered to our doors. The good news is these corrugated cardboard shipping boxes are highly valuable recyclables, and you can place them at the curb with your recycling bin. However, before you send them off to a recycling plant, take time to break down the boxes as much as possible. Using a pair of sharp scissors or a box cutter, rip the boxes along their seams until they lay flat. Flat cardboard takes up much less space than full boxes, and trucks can carry more of it away in one load. This increases the overall efficiency of the recycling process, reducing the amount of energy spent collecting the cardboard. The color or size of the shipping box doesn't matter — as long as the cardboard doesn't contain any non-recyclable additives, it should be clear for processing. Paperboard is the cardboard-like product used in gift boxes, such as the kind used to box up clothing and jewelry. Although it often comes with a glossy coating, it is completely recyclable and can be set aside in a stack along with cardboard shipping boxes. Another benefit of cardboard and paperboard materials is how easy they are to reuse — save any intact boxes for future gift wrapping, organization or storage. Tissue paper is the crucial "stuffing" material used in gift bags and boxes. It contributes an element of "unwrapping" to presents, heightening their appeal and presentation. Unfortunately, tissue paper's versatility doesn't apply to recycling. The material is typically made with low-grade paper, and it is such poor quality that it isn't recyclable in most communities. However, a few centers will accept tissue paper, so reach out to your local recycling agency to double-check their policy before tossing tissue paper in the trash. If your local facility takes tissue paper, make sure that it is clean before you place it in a blue bin — remove any non-recyclable additives such as glitter. Although you most likely can't recycle your holiday tissue paper, you can still repurpose it. Save leftover tissue paper in a bag or container along with your other wrapping supplies, and use it to wrap and cover future gifts. You could also use large pieces of tissue paper to wrap presents in place of wrapping paper — if it looks too bland, you could customize the paper with drawings, designs or inside jokes. You could even try embellishing the tissue wrapping with glued-on small objects like autumn leaves or evergreen fronds. Tissue paper is a wonderful material for children's crafts. For a more practical use, if your tissue paper is acid-free, you can use it to wrap any linens that you store in a wooden chest or cabinet — the paper helps prevent any residual sap or stain from seeping into the fabric. For many Americans, Christmas trees are cherished holiday symbols, representing family, love and giving. However, once the holiday season draws to a close, many of us are left wondering what to do with our old trees. Fortunately, both real and artificial Christmas trees can be recycled through the right programs. Once the holiday season has passed, most of us begin packing up our decorations. When it comes time to dispose of your tree, don't worry — there are many ways to recycle your old Christmas tree. Curbside pickup: Many communities offer curbside tree pickup for a couple of weeks after Christmas, so you can dispose of your tree quickly and easily. Chipping: If you love gardening, your old tree could help your plants grow — in many cities you can chip or shred Christmas trees to produce a nutrient-filled mulch. Firewood: For people with wood-fueled fireplaces or fire pits, your Christmas tree could provide valuable firewood. Once you cut your tree, you will have to let the wood season several months before it is dry enough to burn. Before you set out your tree, make sure to remove all wires, lights, tinsels and ornaments — these non-recyclable materials can cause problems in a recycling facility. Artificial trees are an attractive option for many families — they don't require the care and upkeep of real trees, and they can be stored away and brought out each season. A tree-recycling center: During the holidays, many cities will have a Christmas tree drop-off center for recycling. Whether your tree is made of glass, aluminum, paper, scrap metal or plastic, most centers will gladly accept them for recycling. Curbside pickup: Around the holiday season, many communities offer curbside pick-up services for any Christmas tree, both real and artificial. However, these services vary between each city and community, so double-check with your waste management authority before setting your tree out on your curb. Donation: Another way to recycle your tree is to donate it to a non-profit organization. Assisted living facilities, local schools and charities may all willingly accept your old tree, giving it a new life. Before recycling your artificial tree, make sure to dismantle all the branches and remove any lights or decorations. 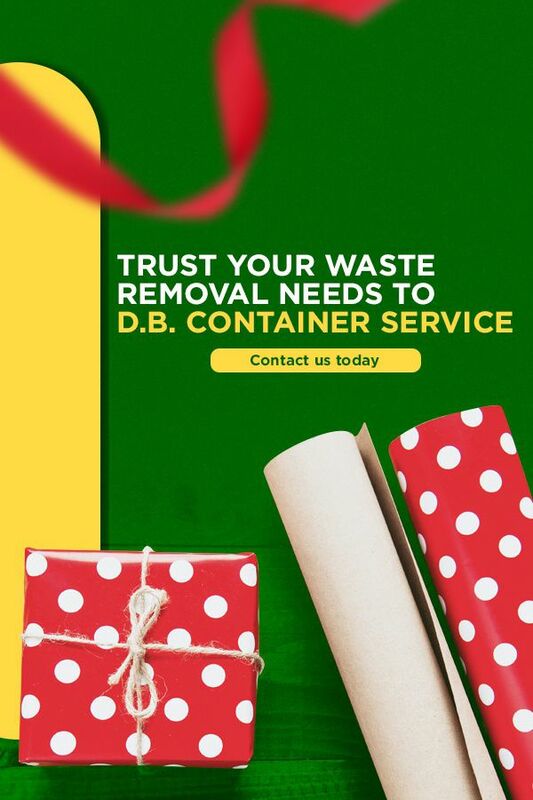 This holiday season, trust your waste removal to a professional. At D.B. 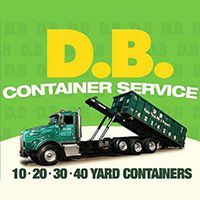 Container Service, we're dedicated to providing professional and honest service for all of your waste removal needs. We offer 10- to 30-yard dumpster rentals, and we can handle any size job, from the needs of the average homeowner to general contractors. Our wide range of services include demolition, excavating, clean-outs and roll-off containers, and we are investing in establishing long-term relationships with our customers. Contact us today to request a quote, or call us at 718-257-2300 to talk with a qualified team member.